GyroGlove is an innovative glove developed by GyroGear, which mechanically stabilises hands for people living with Parkinson’s. The international team is made up of designers, engineers and medics. GyroGear, the trailblazing team behind the creation of GyroGlove, is seeking enthusiastic volunteers to test their wearable, which, it claims, can reduce tremors. 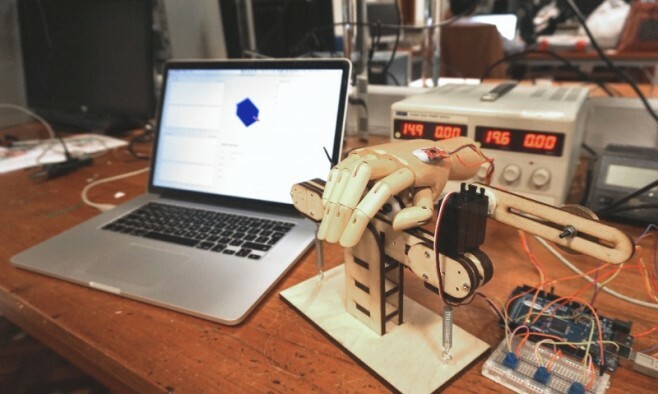 The device is inspired by aerospace technology and the addition of gyroscopes (spinning discs) to the hand. These gyroscopes have the ability to stabilise hand tremors. GyroGear was selected as one of 15 ‘Millennial Trailblazers’ by telecoms company Telefonica. The business was also named in the 2015 ‘Nominet Trust 100’ list, which recognises inspiring uses of digital technology for social good.